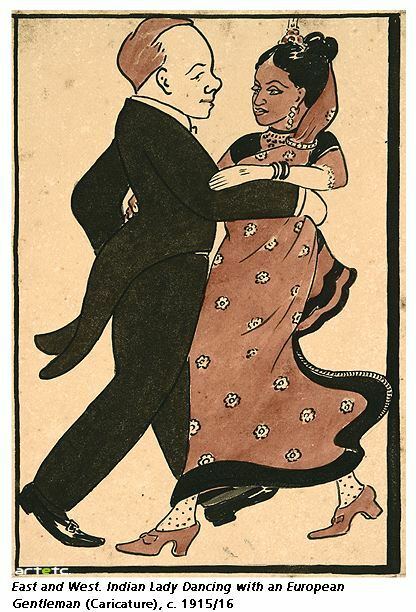 The modern girl in another Tagore’s illustration is again the subject of satire. This is from Gaganendranath Tagore’s cartoons. At least for a period of time socks and shoes worn with a sari seems to have been very popular. This entry was posted in 1910s, Comics, Sari Blouse, Vintage, Vintage Blouse and tagged 1915, 1916, cartoon, Gaganendranath Tagore, india, interracial, saree blouse, vintage. Bookmark the permalink.